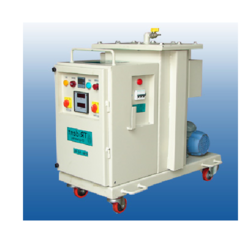 We are a leading Manufacturer of absolute mechanical filter machine, coarse mechanical filter machine, liquid cleaning machine for ceramics industries, electrostatic cleaning machine, electrostatic liquid cleaning machine and hydraulic oil cleaning machine from Ahmedabad, India. With the help of professionals, our firm is proficient to provide Absolute Mechanical Steel Filter Machine in diverse configurations. Professionals develop this product by using the hi-tech technology and best grade material which is acquired from top sellers of market. Our presented products are enormously employed by patrons owing to their longer operational life. 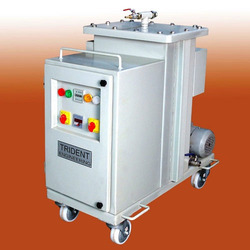 Our firm is among the trusted names engaged in providing a wide range of Coarse Mechanical Filter Machine develop this product as per industry principles using the industry permitted material and advanced techniques. To preserve the quality, quality examiners also examine the quality of this product as per universal industry standards. Being a well-known organization, we are involved in providing Liquid Cleaning Machine for Ceramics Industries to our esteemed patrons. 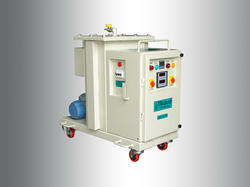 These are highly used for liquid cleaning in ceramics industries. This product is made in accordance with the worldwide industry standards and is also available with custom-made specification as per the necessity of customers. Hydraulic Press & Hot/Cold Steel Mills. Earth moving, Construction & Mining Equipments. Increase Production & Reduce Rejection. Increase Life TRF pumps, Valves & Seals. E H & S (Environment, Health & Safety) friendly. 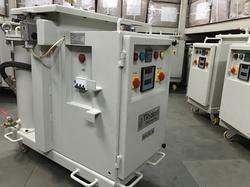 We are known as a leading organization of Electrostatic Cleaning Machine. Our presented product is extremely demanded in the market due to their optimum strength, low maintenance and longer working life. To keep the industry standards, professionals check our products on many parameters to ensure their flawlessness. Moreover, our offered product is available in the market in different configurations. The above figures are from countries like USA, Canada, Japan and Europe. The Oil quantity of ELC model is indicating for dedicating Hydraulic Systems, Selections of ELC is depend on quality of Oil and surrounding environment condition. Viscosity: Upto 200 CST Max. Water content below 500 ppm. Mineral base oil expect IC engine oil. 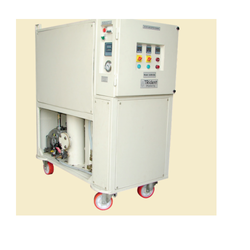 Our patrons can also avail from us Electrostatic Liquid Cleaning Machine. Our offered products are made employing the optimum quality component, attained from trusted retailers of industry. Our products are immensely employed in the market due to their top performance, top functionality and low maintenance. Furthermore, our customers can avail this product from us at economical prices. 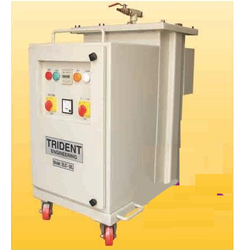 We are a renowned firm of Hydraulic Oil Cleaning Machine that is enormously demanded in diverse industries. These products are used for the cleaning of oil. This product is made employing the top quality material and advanced techniques. To sustain the quality, we source our material from top retailers of market. We offer this product in diverse technical configurations at nominal prices. 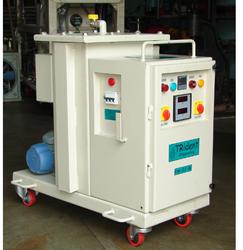 We have gained enormous recognition in the industry for providing our clientele an excellent quality series of Hydraulic Oil Cleaning Machine. Experts develop this product employing the premium quality component as per the set industry standards. These products are appropriate for cleaning impurities from oil. Owing to their top performance, best functionality and strong structure, our presented products are immensely valued by the customers. With the aid of professionals, we are capable to offer to our patrons a wide range of Mobile Oil Cleaning Machines that is broadly employed to mobile oil cleaning. This product is made under the direction of well-informed professionals who have an affluent acquaintance in this industry. Further, this product is strictly inspected on definite parameters before supplying to the patrons. 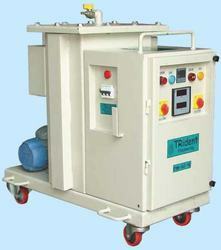 Looking for Cleaning and Filter Machine ?